Hi again! This past week, I said a wistful goodbye to paradise and headed back home to visit my own parents, while Bowl #2 stayed in Honolulu for a little while longer to enjoy some alone time with his family. It was the perfect, lazy, relaxing trip (and I already miss Bowl #2’s mom so much!) but it was time to go home. Honolulu, I’ll be seeing ya. Of course, being back with my own parents has its own perks, even if it’s not Hawaii. It goes without saying that the best part is the fact that I get to see them. This will likely be the last time that I can come home for more than a few days at a time, so I’m spending as much time with them as possible. But it also means that I get to wreak havoc on my mom’s kitchen in ways that I couldn’t when staying with my boyfriend’s parents. 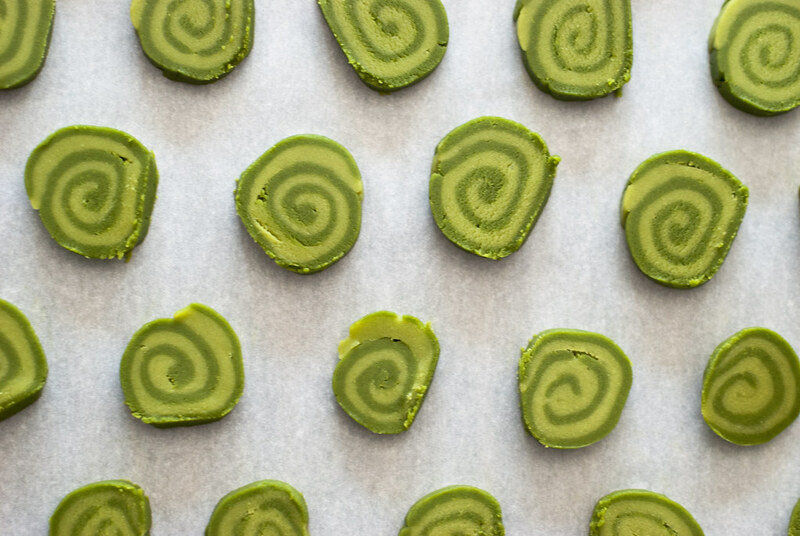 😉 So here’s the first of the projects — matcha (green tea) shortbread cookies. I wanted a little more visual interest than plain green, but I don’t have cookie cutters, so I decided to try a swirl pattern. I made two batches of dough, rolled them out separately and layered them, then rolled them up like cinnamon rolls and cut them into rounds. 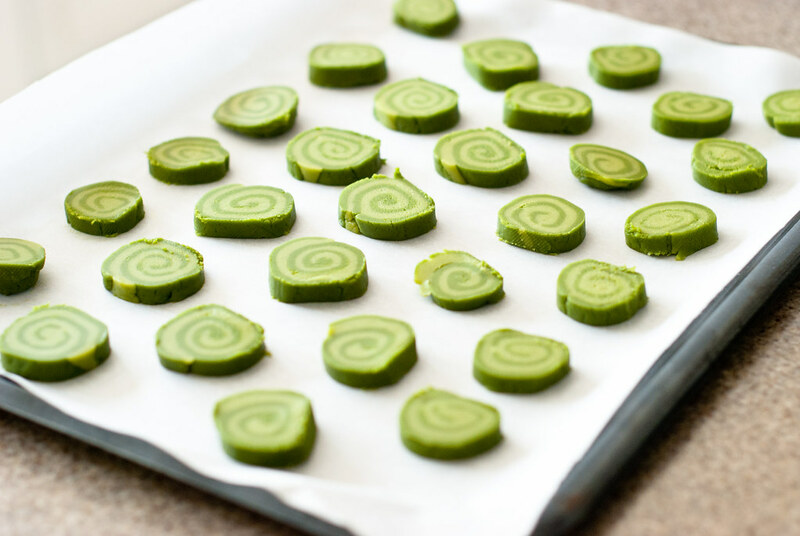 I was delighted with the whimsical, Dr. Seuss-y result, and best of all, my parents loved them — they’re not too sweet, but satisfyingly buttery, with just enough creamy green tea flavor to be subtle but unmistakable. This time, I wanted to try adding an egg yolk to the dough, which I hadn’t tried before. I had read that the yolk adds a bit more tenderness, while also helping to hold the cookie together, but I wasn’t really able to discern a real difference in the resulting texture. I suspect that if it had been traditional shortbread it would have yielded a cookie that was a little more golden than the ones I usually make, which would have been pretty, I think! But because making a swirl required me to halve a recipe that is, in effect, already halved, I had to divide an egg yolk between the two batches of differently-colored dough. That turned out fine for me, and I’m not a super stickler for measurements, but if it bothers you, then you can go ahead and omit it — because, like I said, I don’t think the egg yolk made an enormous difference. Or you can just double the recipe, use an egg yolk for each kind of dough, and either freeze half of it to bake up later, or make 48 regular size cookies (and approximately 83 million mini Dr. Seuss cookies). We blew through this smaller batch in just two days, though, just between the three of us, and the cookies keep well in a sealed container, so I don’t think you’ll have a problem finishing it even if you’re only feeding yourself or two of you. Also, I apologize for the lack of step-by-step photos for the swirl effect. I wasn’t sure how these would turn out and wanted to focus on getting them right, so there’s only a few photos of the process after the logs were already formed. If anyone’s actually interested in making these and the instructions don’t seem clear, I’ll be making them again for a Chinese party my parents are throwing next Saturday (aw yeah, bring on the aunties and uncles), so come back in a week and I’ll have more pictures of the process then. 🙂 The concept is fairly simple, though, and if I can do it, you definitely can! (Plus, if you mess up, they still taste just as good.) Edit: Photos added! Hope they help! 1. Prepare the light green dough first. In a medium bowl, whisk together the butter and powdered sugar vigorously until smooth. Add half the egg yolk and the almond extract, and whisk again until smooth. 2. 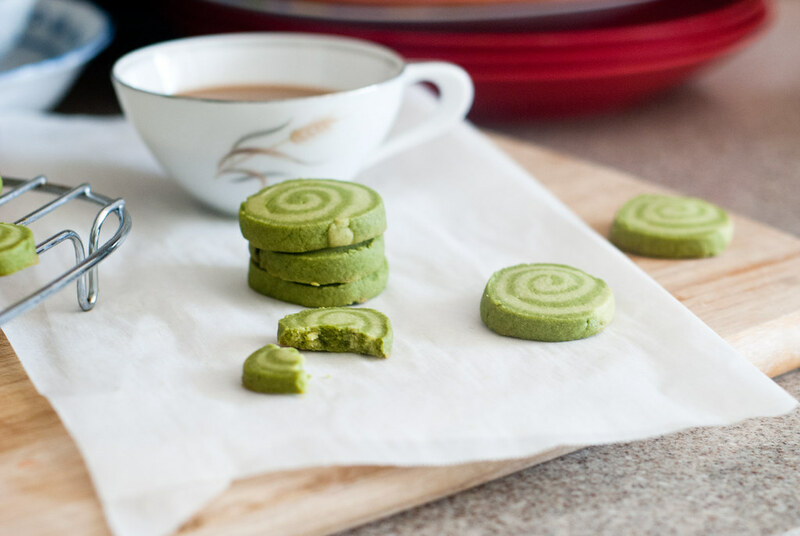 In a separate bowl, whisk together flour, 1/2 tsp matcha powder, baking powder and salt. (A note on judging the color — the mixture will be a little lighter green than the dough will actually turn out.) Gradually add flour mixture to butter in batches, beating after each addition, until ingredients are fully incorporated and it has formed a thick, rough dough. Form the dough into a ball and place in the refrigerator. 3. Next, prepare the dark green dough. Repeat steps 1 and 2 for the dark green dough, but with 1 full teaspoon of matcha powder. 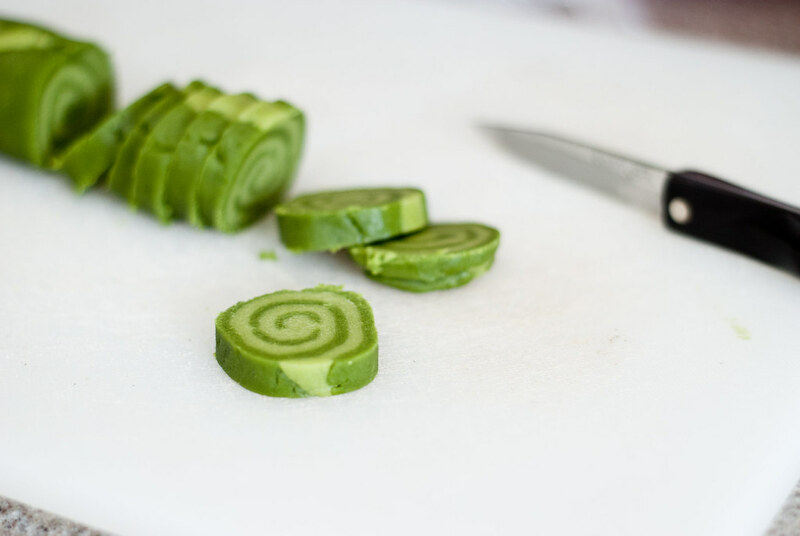 You may want to play around with the amount of matcha you add — you can up the dark green dough to 1.5 tsp, for instance, or decrease the light green dough to 1/4 tsp, for greater contrast and a stronger green tea flavor. Oh hello, little round Martian friends. 4. Here, you can either chill the dough balls or just roll them out immediately. I found that it was fine to roll them out right away the second time I made them. I placed the dough between two layers of saran wrap in order to minimize the dough sticking to the rolling pin — alternatively, you can also place them into Ziploc bags, which was amazing for getting the size of the layers exactly the same. If you want to make mini-sized cookies, like I did, roll the dough out to about 1/8″ thickness, into squares that are about 5″x5″ (or the size of one sandwich Ziploc). There should be about four in total, two of each color. If you want to reuse the Ziplocs, chill the dough at this point until hard and then peel off the Ziplocs before layering and rolling into logs; if you don’t care, just slit the sides and peel off. Place one lighter-colored square on top of one dark-colored square, lining them up as best you can, and gently roll lengthways into a log. It should form a roll about an inch in diameter, and you should get two logs out of the dough. For regular-sized cookies, roll the dough out thicker (I’d guess about 1/6″ or thereabouts), instead, so that each ball yields one 7″x7″ square, instead of two smaller ones. Roll those up together and that should result in a log that is thicker, with larger cookies. Either way, once rolled, replace in fridge and let chill for another hour to harden again. At this point, you can also freeze it if you’d like to bake it later. Saran wrap method. Less precise, but easier to get the plastic off. You can cut off the edges and rearrange into a more precise rectangle. I found it kept the dough together better if I used the plastic to roll the layers, then peeled back, rolled again, etc. Like sushi? Not that I know how to roll sushi. 5. When you’re ready to bake, preheat the oven to 350 degrees. Remove logs from the fridge (or let defrost, if frozen, for about 10-15 minutes) and slice into 1/4-inch thick rounds. Place on a baking sheet lined with parchment paper. You only need to leave about half an inch to an inch of space between them, since they will not spread. Bake until you can see the barest hints of brown forming on the bottom edges — about 10 minutes for mini cookies, and about 12 minutes for regular. 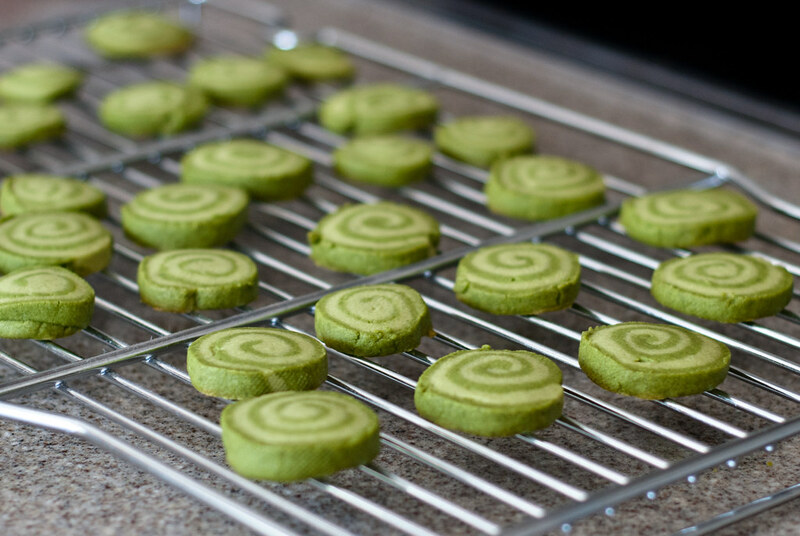 You are getting sleeeeepy… You are getting very, very sleepy… When I snap my fingers, you will wake up and bake matcha cookies. Notes: You can find matcha powder at most Asian supermarkets, or on Amazon — the brand I use is Maeda-En and it comes in a small canister. Maeda-En makes a culinary version in a silver canister, listed here on Amazon for $10, and a better-quality drinking version in a gold canister, listed for $12 — I think you can find the gold type for $9-10 in Asian supermarkets. I have usually used the gold version and find that it yields excellent results — unfortunately, I can’t tell you how the silver differs in taste because I’ve never compared. Either way, it’s a bit pricey for a 1 oz tin, but that will last you a pretty long time if you decide to splurge on it. I also almost sprang for a brand I saw at Whole Foods, which sold for $18 for a 1.5 oz bag (ouch). You may want to up the amounts of matcha in the dough if you really like green tea. 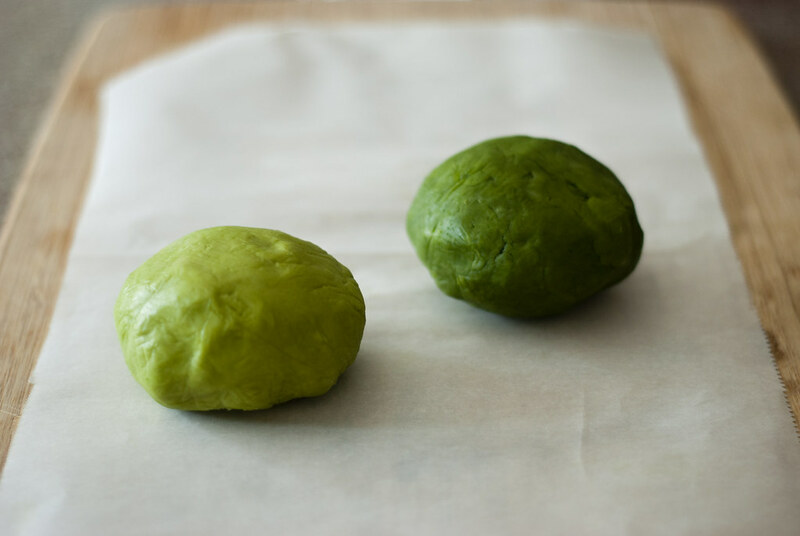 But I would recommend adding it to the darker dough rather than the lighter, because the matcha powder has a surprisingly saturated color in dough even when very little is used. I went with a total of 1 1/2 tsp between the two doughs (1/2 tsp for the lighter dough and 1 tsp for the darker), but would probably consider upping it in the darker dough to 1 1/2 tsp next time. Beautiful! I need to use matcha more when baking. These are perfect tea time cookies! Meg, your comments always make me smile!! 🙂 And yes! I was way overdue myself. I went through a phase a few years ago where I made enough matcha cupcakes to feed an army, and then somehow totally forgot about it (or got sick of it, probably). Thank you so much for your kind comment and I hope you like these if you ever make them! Adding this to my growing to-bake list! Yay! 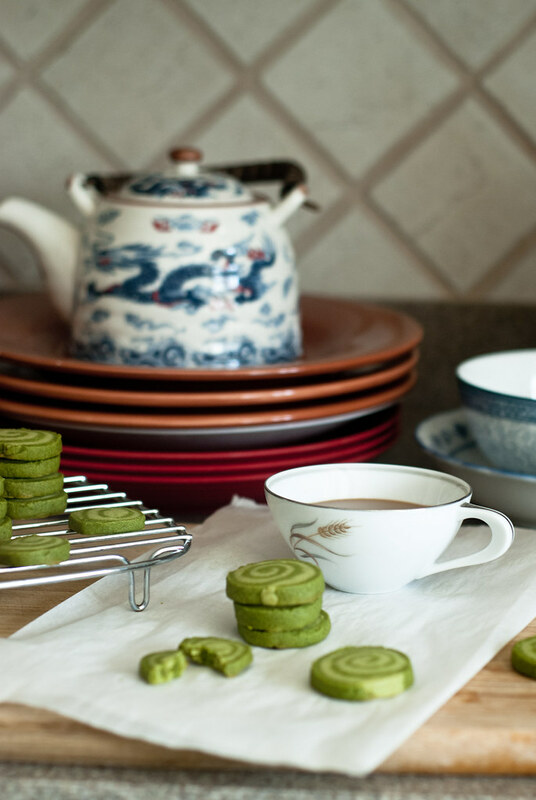 Now if only I could do the same with your stunning matcha macarons! Wow, they look so cool!! I agree with Poppy. Especially as I would never have thought to do something like this with what is essentially a shortbread. They look great! Looks extraordinary! So greenish! A great deal for a party. Now I wonder where could I get matcha powder in my country… And matcha cupcakes, sounds so good (I can alredy imagine the view)! Thank you so much! Oh my gosh yes, matcha cupcakes might be my favorite cupcakes of all time. I think I need to make those again 🙂 Hope you can find matcha powder somewhere (or maybe Amazon ships to you?) It is a hassle to find but so fun to bake with. These photos are so lovely!! 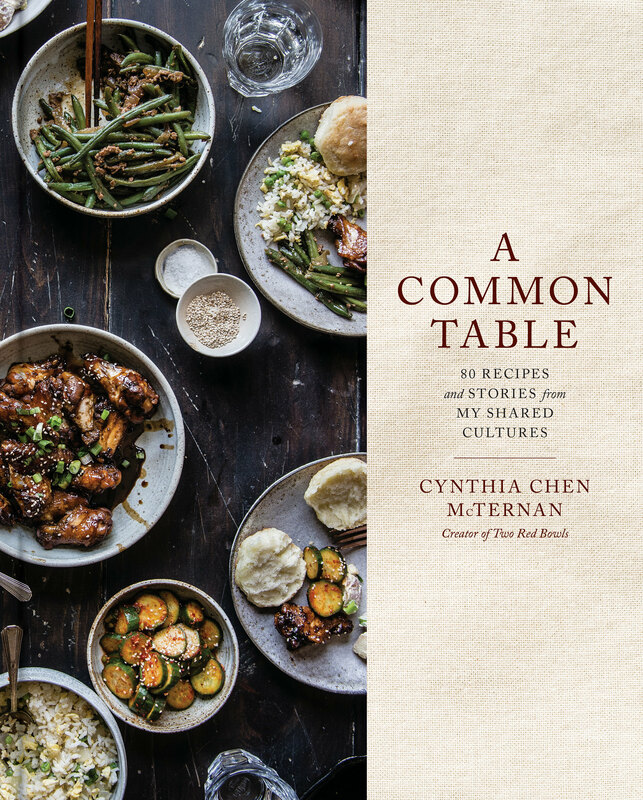 You’re going to have to share your secrets (or really just let me taste test eeeeeverything please) soon. Oh My Gosh, I can not wait to try this! I am going to make them tonight! Ahhh I’m so excited to hear that!! Let me know how it goes, I hope you like them! so beautiful! I MUST make these!! they’re healthy…. right?? Hahaha! I made these for a party my parents threw and one auntie kept telling me, these are so green! They must be healthy! I didn’t have the heart to tell her otherwise. 🙂 But at least they are more wholesome than the storebought kind! Allison, thank you so much! That means a lot coming from you! They’re a little fussier than I originally thought they’d be (the dough can be frustrating to roll!) but they were fun to make, so it was still worth it, I think. But making plain green ones sounds awfully appealing too 😉 Thanks so much for your comment! Oh my gosh, I promise you you can totally make this 🙂 I’m actually so not a baker either (learning slowly, but definitely at war with my oven more times than not) and this recipe is practically foolproof, especially if you want to skip the swirl and just do plain green. looks amazing and tastes really delicious. You made me wanted to try this even more. I’ve bought my matcha powder but never try to make an effort, I will start tonight. 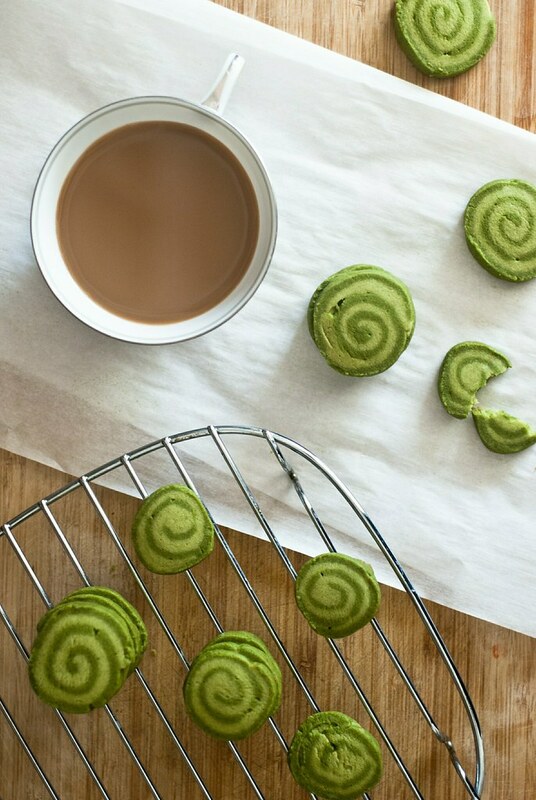 The green swirl look so cheerful…look yummy! I am so excited to hear that, Carmen! Let me know how it goes if you try it! 🙂 I agree, I love how whimsical the swirls look. It made me feel like I was in a Dr. Seuss book. 🙂 Thank you so much for your kind comment! Mmmm…i loved it!! Gee…thank you for sharing this recipe. I baked two batches at once and my cookie monsters wiped everything in less than two days!! Awww, that makes me so, so happy to hear — you’ve made my day. Thank YOU for baking it and for letting me know that they turned out well. 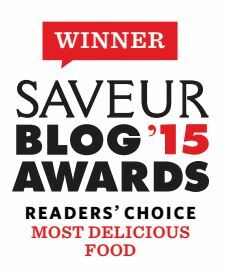 It’s the best part of blogging! Aw, thanks, Christina! 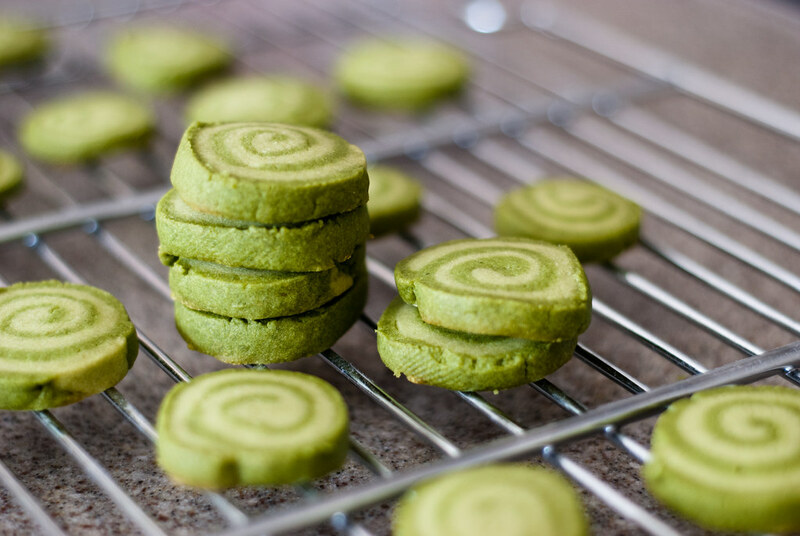 I do think matcha and shortbread go really well together — matcha has kind of a strange creaminess to it that really matches cookies. I love it in cupcakes, too! Like the detailed instructions and that I can use the technique for other swirl cookies. I also like your teaware and styling. I got my ingredients! Can you please clarify if your half stick of butter is equivalent to a half cup? I know that’s usually the case, but I’ve come across some brands of butter that have been packaged as quarter cup sticks. Thanks so much! Hi Sharon, a half-stick here is 1/4 cup! I’m sorry for the confusion — I’ve edited it to be more precise. It should be 2 oz or about 56 g butter. I hope you enjoy them if you try them! I absolutely love making this recipe, and the cookies are so unique and not too heavy (so I can gobble them all up). I make batches and give them away… and since it is cookie baking time during the holidays, it’s time to make more! 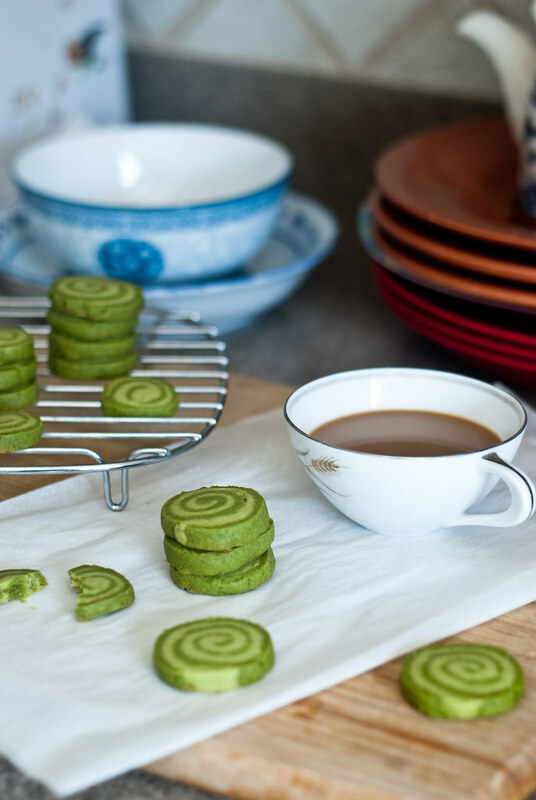 I just wanted to let you know there’s a website using your recipe without giving credit: They are using your work to sell their own brand of matcha powder, which is really lame. The picture of their cookies is one they did on their own, but the date is much more recent than yours. I’ve made this several times for different events (family and work) and everyone loves it! Even people that have never tried matcha. 🙂 Thank you for posting such an awesome recipe! It’s absolutely my go to! My favorite matcha is Gron Matcha. Its worth every penny! !